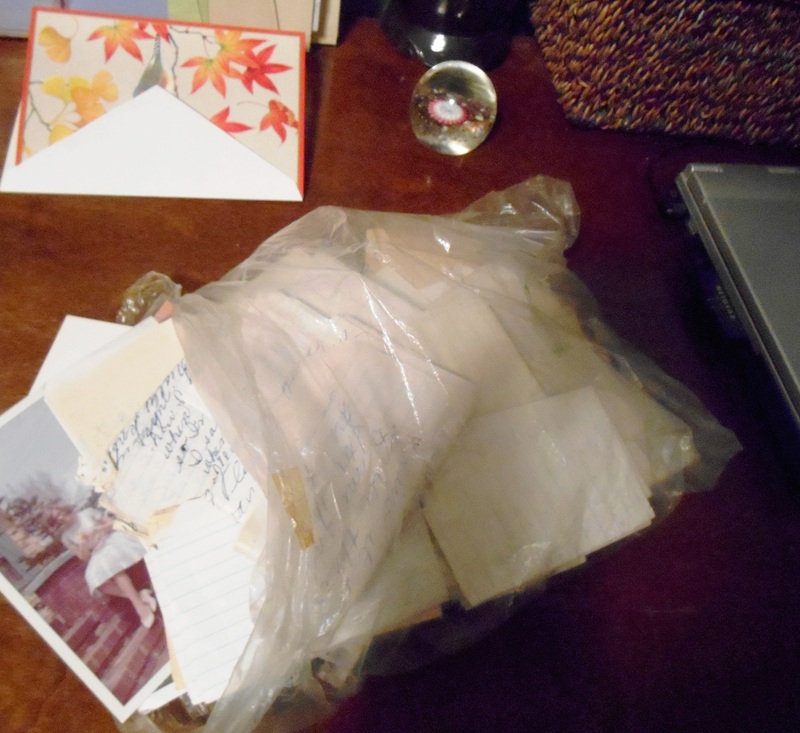 I came across a plastic bag full of handwritten notes from my middle teen years recently. They had been stored at my childhood home but when my mother sold the house following my father’s death, she gave them to me along with other mementos. I was surprised to see them but took them to my home where I squashed them deep into a desk drawer. When I found them last week I read each one, wondering over the scribbled thoughts, desires and dreams that had lasted decades in an attic. Not that they revealed mind boggling information. We were kids trying to grow up and each note displayed the awkward but maturing mind and heart of the writer. Our favorite topics? Love or lack thereof, and friendship or loss of. Same thing, I guess. I have thought about handwritten communications more the last few months. I’ve recently written about letters in short story posts. But it arose spectacularly when I was very ill with severe muscle toxicity after taking a statin for many years. I shared some of that here. I had increasing trouble with many common muscle actions and reactions but one of the hardest to deal with was the way it impacted my hands. My grip became so weakened that even signing my name became a challenge. Far from being automatic, certainly not elegant, the letters formed clumsily and erroneously. It was tiring to command and make strokes as I meant. It was frightening. I stopped the statin, got progressively better and five months later I finally write more like myself. I have enjoyed writing longhand. I found practicing penmanship as a child pleasant; it’s a bit alarming that schools don’t stress cursive writing, anymore, as if it is archaic. By my teens I became fascinated by how individual cursive writing was. During note-swapping years I saw that each person’s writing could dramatically change along with emotions. A few years later our writing matured with our characters. Furthermore, it seemed altered by health issues. I decided to study graphology, commonly known as handwriting analysis. The mind, after all, originates a thought; the brain initiates a cascading string of connections and reactions. The neurological interplay between nerve and muscle and intent intrigued me. It became a lifelong interest and I developed some skill. It has aided insight into myself and others. Physicality and attendant health, personality, even subtle psychological strength and weakness are rendered apparent in the study of peoples’ writing. When I was just beginning my hobby, graphology was still considered “occult” or a pseudo-science if worth consideration at all. Today, employers, psychologists and police departments utilize professional graphologists to supplement their understanding of human nature. I would like that work. But I have other ruminations today. 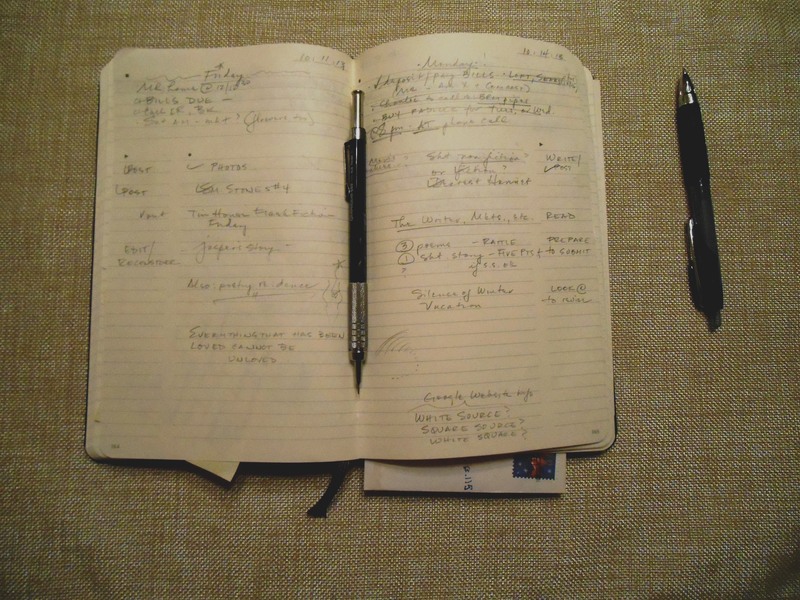 What is the importance of writing things down? What do we share with language set upon paper besides words? And what may be lost with less use of pencil and pen? How many times a day do I write things down? It begins at nighttime before going to bed: the list. 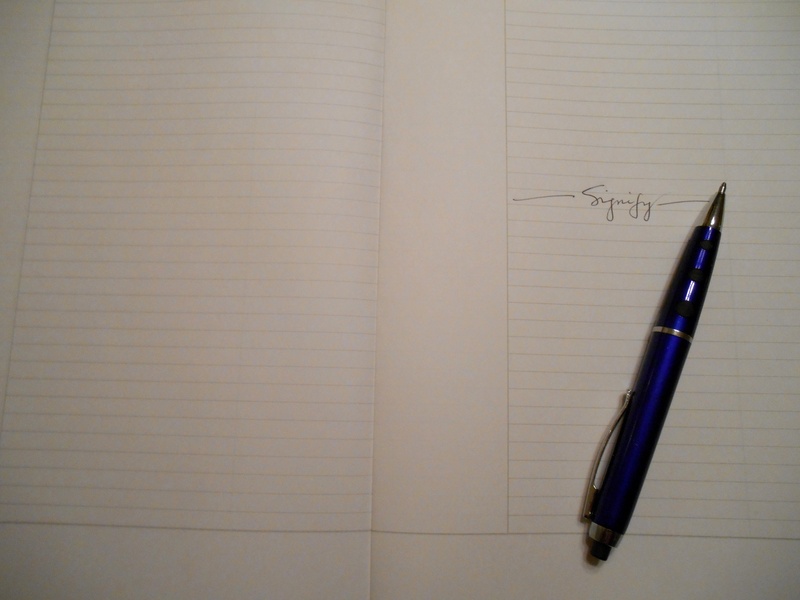 I use a mechanical pencil–it writes easily, is erasable–upon the smooth paper in a black-bound Moleskine journal created for people like me. Each page is undated. I prepare myself, define what I want to accomplish. There, in a book at my place on the dining room table, is where I clarify goals and projects, set deadlines and remind myself of appointments. It reinforces motivation but I doodle a little, play with my printing and writing. I’m relieved to be able to write again. I anticipate the coming days. And then let go of tomorrow until it arrives. I write on my PC every day but I record odds and ends of what I think about: unusual words, characters’ names for stories, lines of poems or stories. Observations that range widely. I jot down names of songs I hear and composers, books I want, a photography idea. 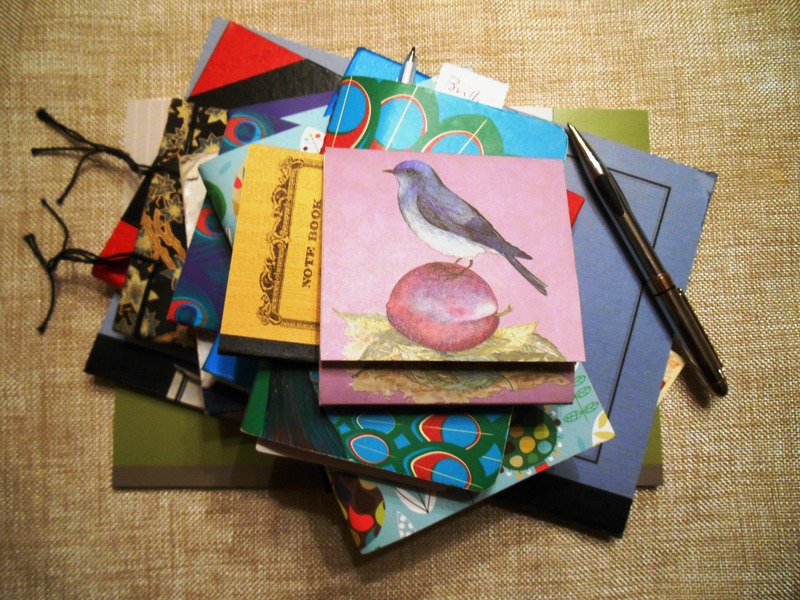 For all this there are very small notebooks to tuck into pockets, purses and cars. The bigger ones are stashed all over the house. There are paper cards of myriad designs and I buy them for no special reason other than they please my eye. Stir me. And then they are sent after I put words inside. A right card for an occasion is lovely but when one randomly snags my attention it is better. I feel happy when I think how a surprised family member or friend will discover it in the mail. Study the front, then open it. I prefer them blank so I can write something good for the person, tell them I care. I take my time. Paper does that: helps you get inside time, then put time aside, and work or play more slowly. I wrote daily in diaries as a child. Then for decades I scribbled about my feelings and events in three-ring notebooks. At times I used a formal, bound journal. I haven’t kept one for years; I am busy writing other things. But they served their purpose in every way. Today diaries seem to remain popular despite our vast electronica. 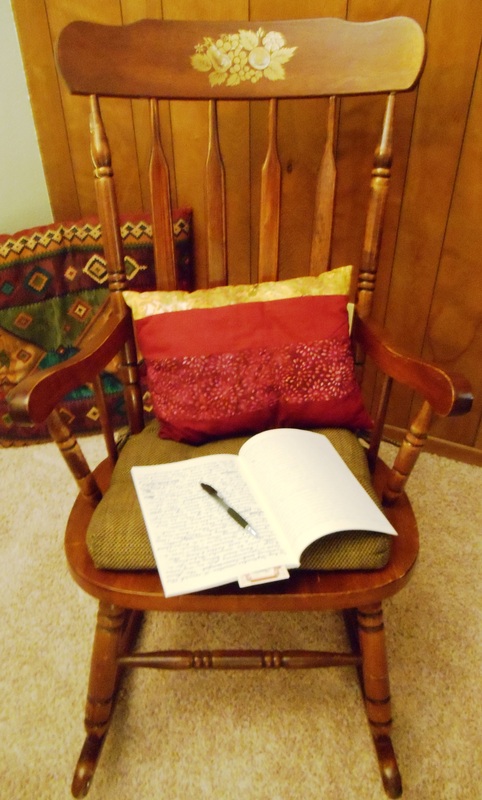 When working as a counselor, journaling was a profoundly useful tool for my clients. It was a time and place just for themselves, a luxury for many. Time is allotted in a private spot at home or elsewhere and you have at it, setting free your most curious thoughts, and verbalizing crises, goals, prayers, rants, longings, hurts. And usually, one feels relief afterwards. The mind was engaged then emptied; the heart unburdened, clarified. The soul became calmer, softer. Opened. We can give ourselves to the paper with thoughtfulness. We can trust it, let the pen make visible grave fears and truest needs. No one gets to edit or critique; no one gets to read without permission. It is a depository for treasures and a dumping ground for junk. Some people don’t even know they have such a powerful voice until committing themselves to paper, hand moving at the necessary speed, paper invitingly empty until transformed with all that matters that moment. And it spells freedom. The brain works with us even when we don’t know it, transferring data to memory. Sorting, organizing, circulating as we create and own our peculiarly unique thoughts. We can either let them lodge in the caverns of mind or dissipate into celestial ethers. Or put them into the world. And writing things down helps nail a thought in place so we can retrieve it later to appreciate or use again. If I forget something I will recall the writing of it; the words or numbers flash across my mental screen just as they were written. So, what shall we tell one another on paper that we cannot or will not speak aloud? What meaning can we impart by offering our written thoughts, one human hand to another? Once the pen speaks, the words have a life. They stay put. They may do good and also harm. But they help define the creatures we are. They allow us the exquisite opportunity to tell our side, ask our questions, impart our understanding. Do I think words are everything? No. But when I have them to give, I want them to travel well across that page to a receiver on the other end. Even if God, alone. My name signed on the bottom of a document, a tiny scrap or a missive means something, as does yours. It is staking our particularity in the vastness of humanity. My hand and your hand make it so. Signify yourself; leave your lively mark upon the paper. Reveal yourself, then try not to delete.